In June of 1938 Carole made her stage debut in a Los Angeles production of Roberta. 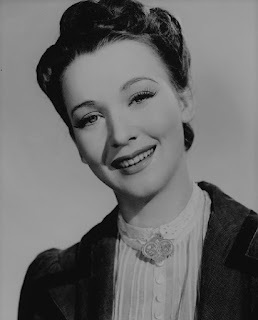 She had one of the leading female roles opposite Bob Hope. 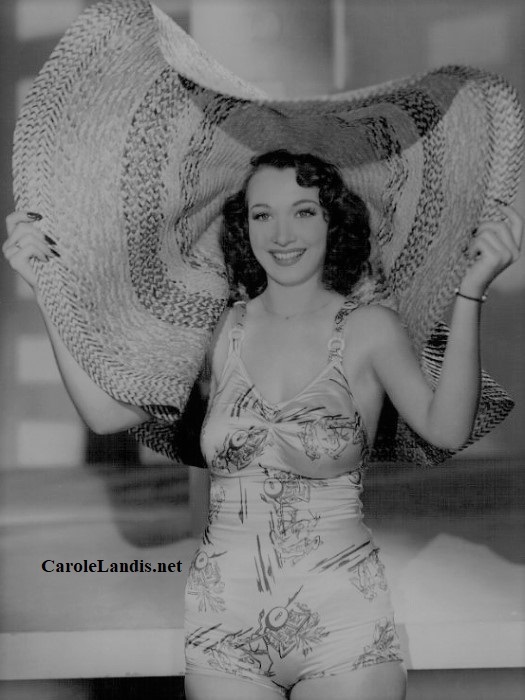 Carole was offered a contract at Paramount but turned it down so she could star in the play Once Upon A Night. 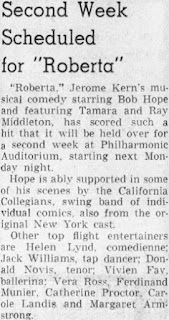 The show opened in Delaware in September and closed after only two performances. 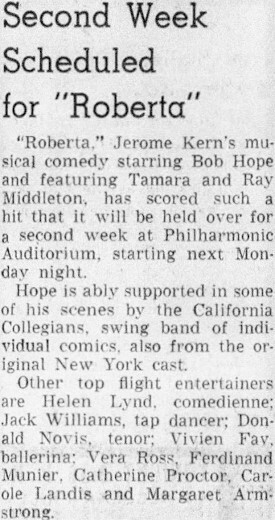 She said "We opened in Wilmington and closed in two nights without so much of a breath of Broadway. I was pretty inconsolable." Carole returned to Los Angeles and started taking acting classes. 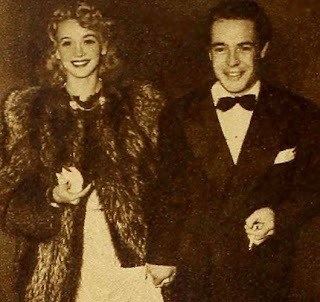 She went out on several dates with agent Vic Orsatti and actor Alexander D'Arcy. Carole started dating casting director Kenny Morgan in December of 1938. He helped her get a three picture contract at Republic Studios. Her first film was the western Three Texas Steers. In the movie John Wayne, Ray Corrigan, and Max Tehune played the cowboy trio known as "The Three Mesquiteers". 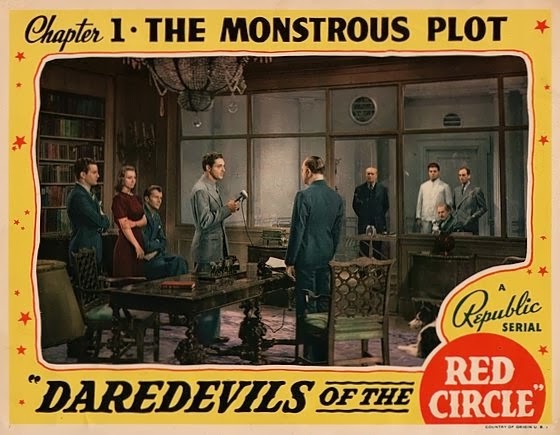 Next Carole was cast in the twelve part serial Daredevils Of The Red Circle. 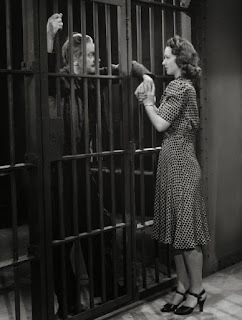 Carole went to court in May of 1939 to divorce her estranged husband Irving Wheeler. Kenny Morgan proposed but she wasn't ready to get married again. 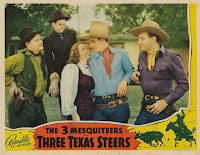 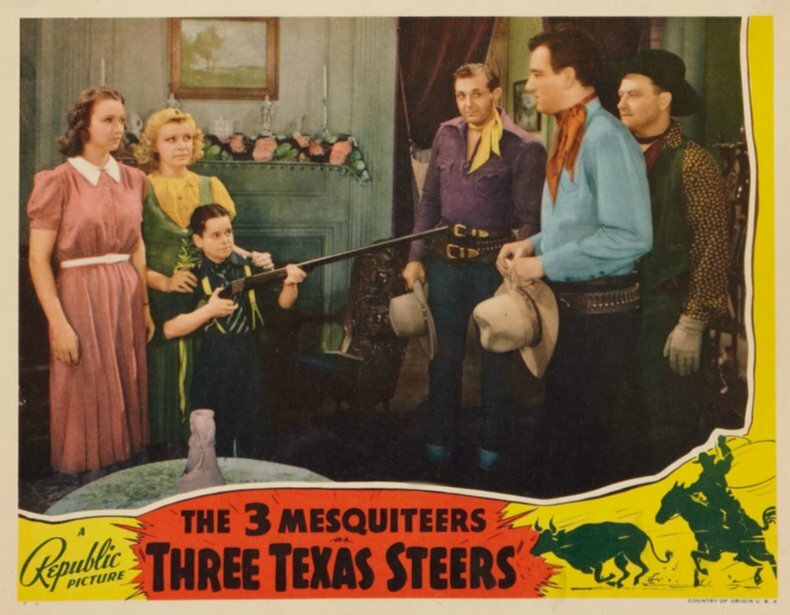 Her final film at Republic was another western featuring "The Three Mesquiteers". 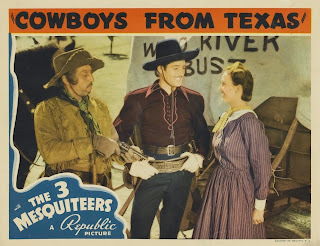 It was called Cowboys From Texas and the cast included Duncan Renaldo and silent star Betty Compson. 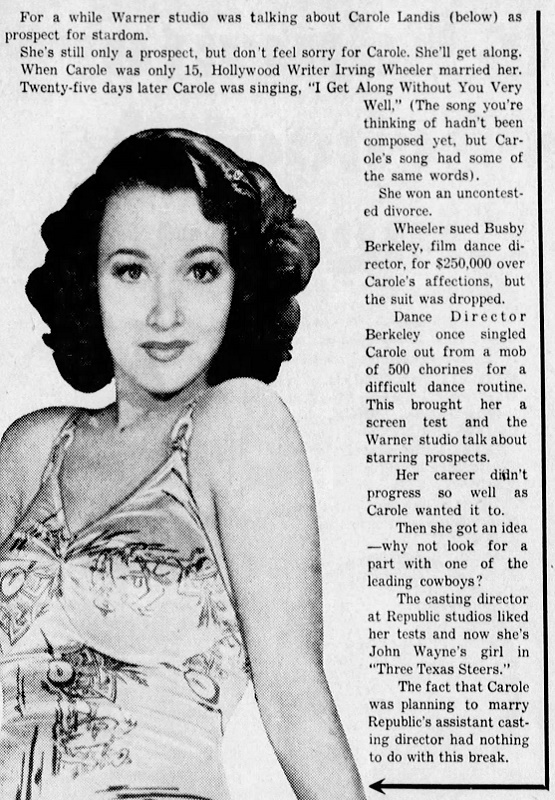 All of the movies Carole made at Republic were low budget but she got positive reviews for her performances. 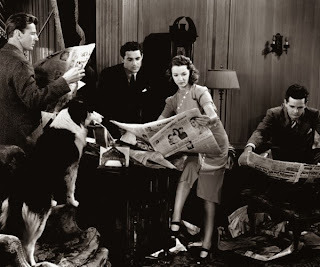 During the Summer of 1939 she and her mother Clara had moved into a small home on 1130 South Clark Drive in Los Angeles. 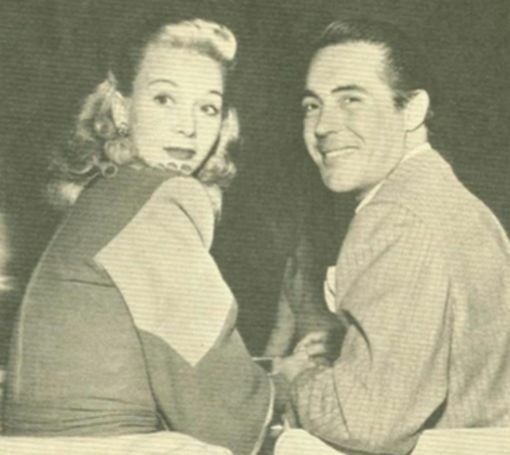 Her romance with Kenny Morgan ended a few months later but they remained friends.